They’re impossible to see with the naked eye. They’re difficult to pronounce. 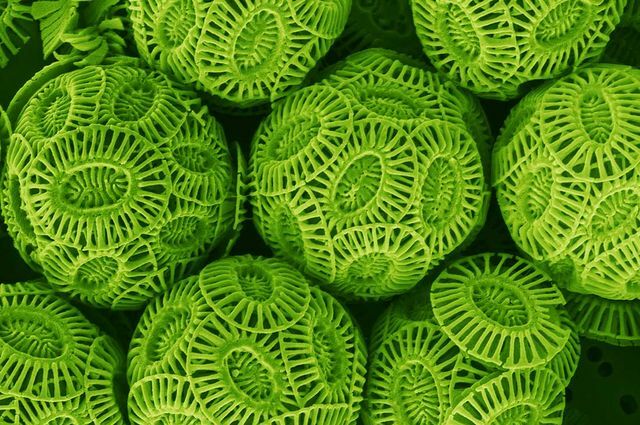 But coccolithophores, a single-celled plankton, have an outsized effect on oceans due to their sheer quantity — their blooms are visible from space — and because of the fundamental role they play in food chains and the carbon cycle. 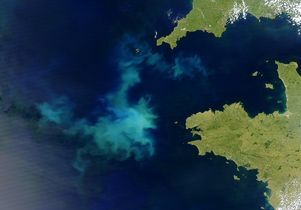 Small fish and zooplankton feast on them, and they remove huge amounts of carbon from the ocean. 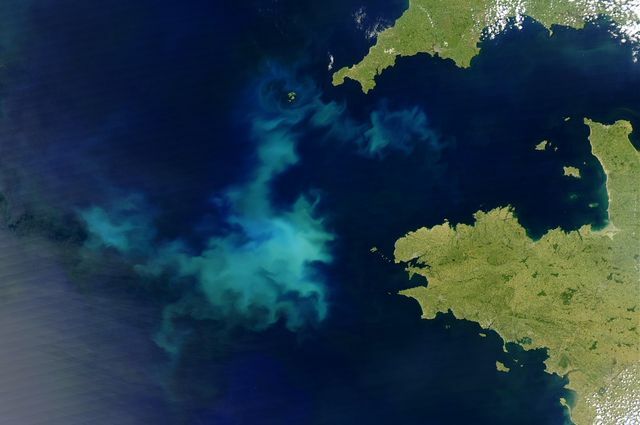 Bloom of coccolithophores visible from space. 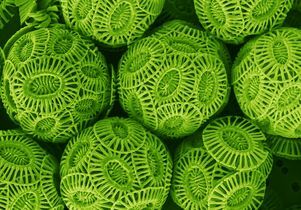 Magnified coccolithophores. Color added. |Photo via hhmi.org.